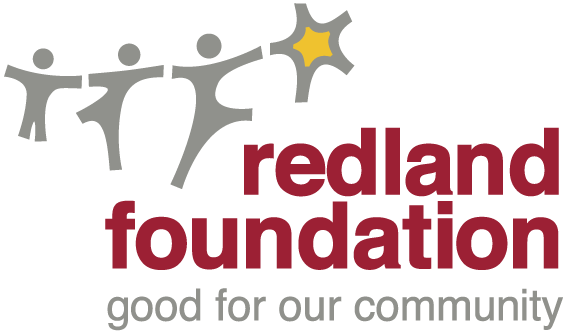 The Redland Foundation’s hugely popular annual fundraiser is on again. 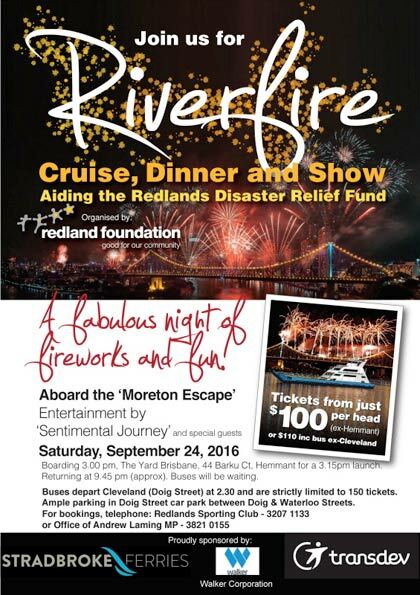 Join us for a sensational dinner, show and cruise to RiverFire at Southbank where our guests benefit from a premium mooring close to all the action. Funds raised will go toward our Disaster Relief Fund, to help secure our community’s future. This year you have the option of including the cost of a bus, leaving from Doig Sreet, in Cleveland to the launch point, on the Brisbane River at Hemmant. Tickets are strictly limited, so book early at Redland Sporting Club (3207 1133) or the Office of Federal Member for Bowman, Mr Andrew Laming MP.